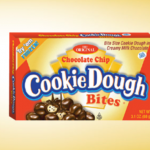 The Cookie Dough Bites, Muddy Bears, Hello Kitty Treats Slack-Fill Class Action Settlement is worth up to $12.50 per household. The lawsuit was originally filed by Dacia Trentham in May of 2018 when she noticed her candy she was chowing down on contained a lot of space when compared to how much candy was actually in the box! The Candy Product Settlement fairness hearing will take place on or around 10/24/2018. Class members will not have to attend this hearing unless they would like to speak in regards to the settlement amount. The toll free number is ideal to call when the class member has questions about the claim status, when the settlement checks will go out, confirm claim form was received, etc. Class members in the Candy Product Settlement will be represented by court appointed lawyers; David Steelman and Stephen F. Gaunt from the law firm of STEELMAN GAUNT & HORSEFIELD and Naomi B. Spector from the law firm of KAMBERLAW LLP. The defense has hired Joshua Briones and E. Crystal Lopez.